And we have recommended Brio Grille to many in our development. We are aware of at least 5 families taking our advise. The food was excellent. Great sized menu as usual. But what truly made this experience above all others, was our waiter. He was very exceptional. Could not do enough to keep us happy. Food was delivered hot and always with a smile. We never had to ask for drink refills, he was right there. And the fact that he had several other tables. The ambiance is always fantastic. This was our fifth time for dinner. Believe me, we would be eating here many more times but it takes us an hour and a half to get there. But we’ll worth it. Prices are within going limits, never prohibitive. Hoping to see you soon. One of our favorite restaurants! Always great service, delicious food and a well timed meal. We both started with the chopped salad - fresh, crisp greens and great dressings. Delicious! Went to our favorites for entrees - Spaghetti Bolognese for my wife, Shrimp and Lobster Fettuccine for me. As always we were mopping up the last bits of sauce with the great bread. Yum! Glasses of wine - Valpolicella for my wife, Wente Chardonnay for me - capped off another great meal. Keep up the great work! The soup was served cold. Other than that it was good. As always great service, food and clean environment. 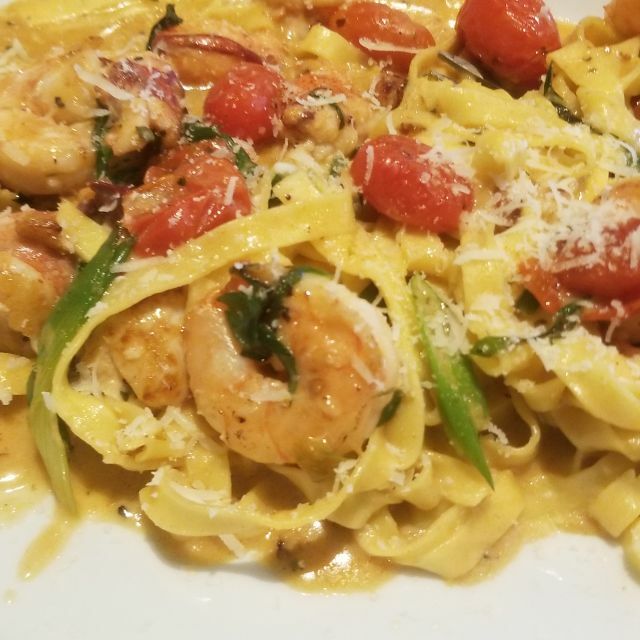 Exactly what to expect when eating at BRIO. The food is awesome. Thanks for bringing back my favorites! One of our favorite places to meet friends or family for a meal. 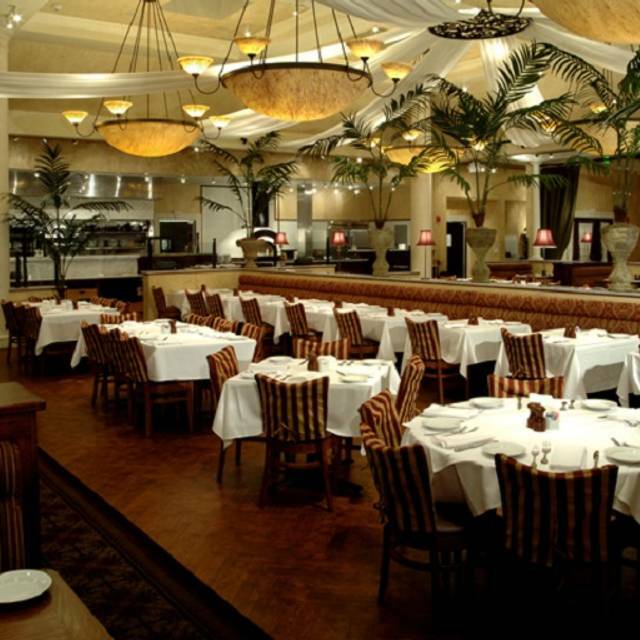 We have eaten In Brio’s in Pa, NJ, Florida and De. All offer the same good food and service. 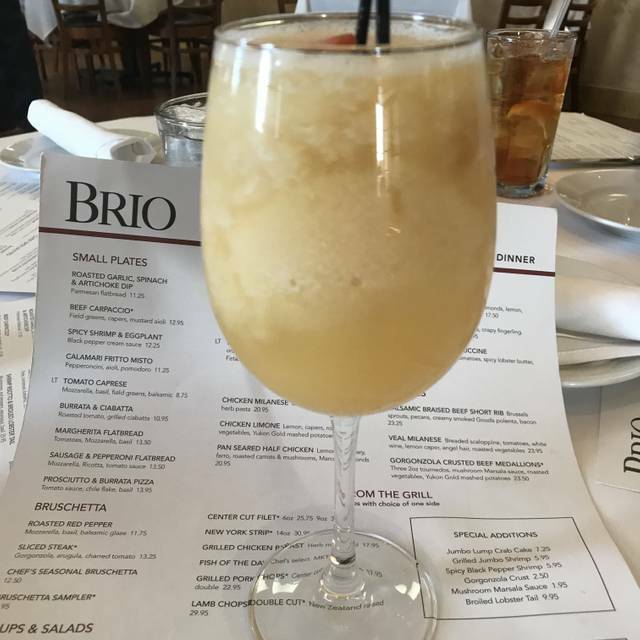 Brio is one of our favorite restaurants. We are never disappointed after a meal. We use it for special occasions. The waiter started out great on top of our needs and available but after we got our food we couldn’t find him for a while and then after dessert it took forever to flag him down and get our check. Food was fabulous!!!! We had a great evening! Thank you. It was a great birthday dining experience! Although it was busy, David took great care of us. The food was excellent and the service was outstanding! We enjoy a great dinner and had a very nice waiter that was very pleasant and quick with our food! The food and service was excellent, but the noise level from both the other patrons and the music overhead was very loud. Definitely would pick something other than the 70's and 80's pop music that was playing, maybe something more along the lines of Sinatra. My husband and I had a hard time hearing each other, and our server, at times. First the food. My meal was ordered medium rare and was delivered as well done. Additionally mashed potatoes were served instead of fingerling potatoes. Pasta was served over cooked for another person. The server was asked to bring water several times before we received any water. The waiter kept placing the serving tray on the back of a booth where others were sitting. Other servers dragged chairs across the floor to set up an adjacent table just to drag all the chairs across the tile floor again to break it all down. It was quite a racket. Considering the cost, not a good experience. We met friends from the Delaware area for dinner. Very reasonably priced; enjoyable food. Relaxed atmosphere where we could catch-up on our friends' latest news without feeling rushed to eat our dinner and leave. Nicole was a great server. She was patient and informative. The food was really good and flavorful. I'm glad I gave it another chance. Family chose this dinner night at one of our favorite local restaurants. Everything was great and our server was polite and attentive. Love Brio! Lindsay was fabulous, made recommendations when asked, very friendly & professional, food was ordered correctly & came out quick even though the restaurant was very busy. Food is always consistently great there. Everyone was very nice! My server/bartender was attentive. I asked for the wedge salad… Deconstructed… And that’s exactly what I got which was perfect. The chicken Marcella under a brick was not as tasty as I thought it would be , It had a good flavor and was edible. I did see the manager Travis hovering all over, he must’ve recognized me from the last time I was there last week when I had a terrible meal. I guess he was attentive to see that everything went well, at least that’s how it seemed. There were 7 of us, my 5 cousins, my mother and myself. We go out to for dinner a few times a year to celebrate our grandmother who passed away 41 years ago. This night was the day before her birthday. David was our server and he was attentive and friendly. We had a wonderful meal and enjoyable evening together. Server was very attentive and very helpful. The food was extremely good for a chain. The filet melted in my mouth. Mashed potatoes were good and the roasted veggies were great. However, both nights I waited a long time, almost 2hrs from start to finish. Spoke to the manager and hopefully service will improve. The food will bring me back. Food and service were good. For a chain restaurant, food tasted fresh and was well seasoned. Servers were attentive and accomdating. Excellent food. Excellent wine selection And great ambience. Food was delicious, atmosphere was on the quiet side, and the service was excellent! Everything was wonderful from the time we were seated until we left. Great service, great food! Thank you. 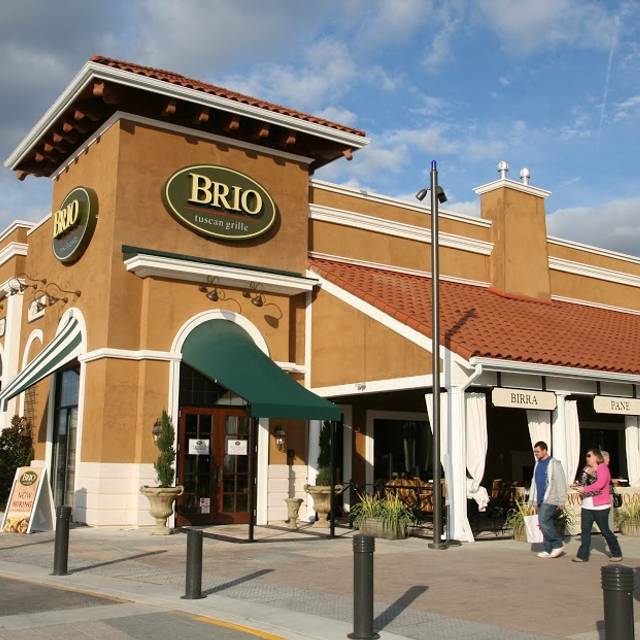 We have loved the Brio restaurant at the Christiana Mall since it opened. Great food at reasonable prices. Well managed by Mike who creates a nice enjoyable time for all. It must have been an off night. Seating was cramped. Service staff was initially uncertain who was taking our table of 9. Because of close quarters much reaching and "excuse me's". Not the best for large groups. I took my wife there for a Valentine's day dinner last Saturday and it was an excellent experience. This was my third visit to this restaurant and I have never been disappointed. The server was excellent. We really like to eat at Brio! 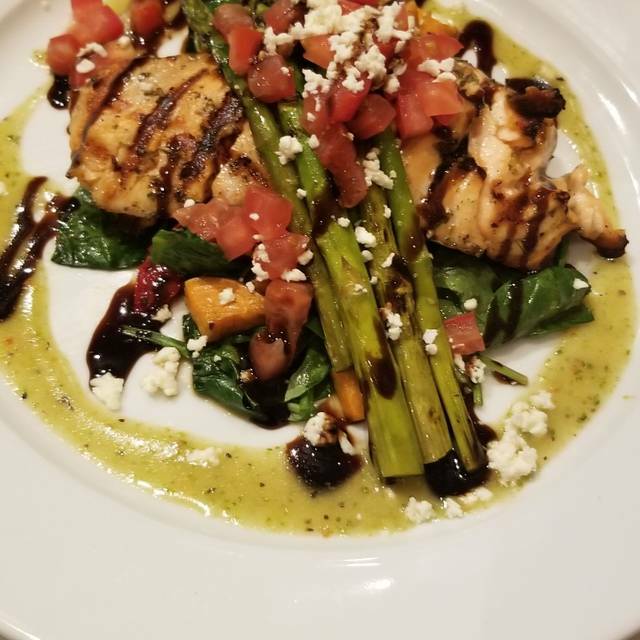 The food is always delicious, and the service is always excellent! We never have to wait long if we don’t have a reservation. 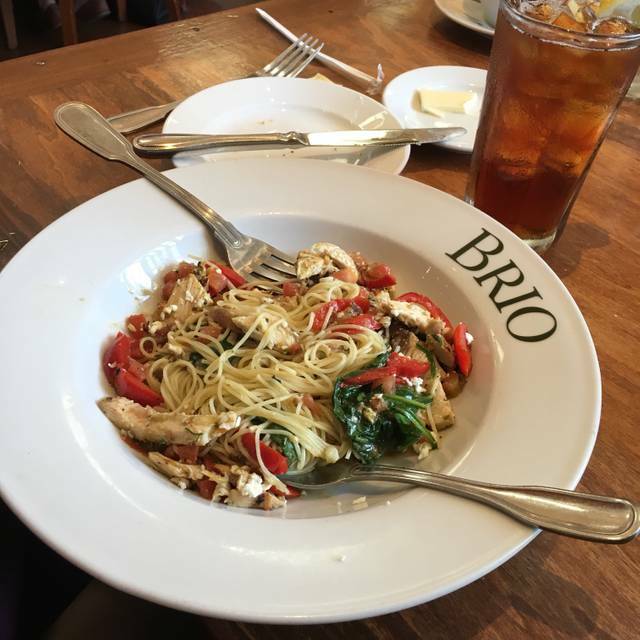 We always recommend Brio to family and friends. We had our daughter’s bridal shower there, and had a beautiful shower! The management helped us through the entire process. It was wonderful!